As I get older, the time seems to speed up - this past year has gone by in a flash! Puts me in mind of a song by the late Sandy Denny 'Where Does the Time Go'. But how can they know it's time for them to go? The early part of the year was partly spent writing my latest ebook DIY Income which was self-published in May - sales are slowly starting to build. The other main event of this year was my house move in July - it takes a little while but slowly settling into my new surroundings (I think!). Of course, a big surprise was the changes to personal pensions announced by the Chancellor in his Spring budget. This has certainly shaken up the pension annuity industry and has resulted in a radical rethink of my own drawdown plans from next April. This is partly also the result of a doubling of my SIPP charges with AJ Bell Youinvest. The Chancellor also announced a significant increase in the ISA limits to £15,000 from July. Turning to my portfolios and following on from my half year review at the end of June, I have just completed a review - sipp drawdown and ISA - for the full year to the end of December. As many readers of this blog will know, my portfolio is allocated between fixed interest (40%) and equities (60%), which in turn are divided between individual shares and investment trusts. Since the start of 2014, the FTSE 100 is down 183 points -2.7% closing at 6,566 - if we add on say a further 3.5% for dividends paid, this will give a ballpark figure of just 0.8% total return for the full year. Returns on capital have been just as difficult with savings accounts - the Bank rate has remained at a record low of 0.5% and the savings rate on my instant access account with the Coventry is 1.5%, and on its cash ISA, 2.75% (4 yr tie in). My resolution for 2014 was to try to become a little more patient with existing share holdings. There have been only a couple of sales - specialist LED lighting company Dialight was disposed in January following a further warning on profits and in March, I decided to take profits on Carillion and recycled the proceeds into a repurchase of engineer IMI Group. Once the house situation became clearer in the Summer, I increased further the number of shares in my ISA portfolio in the second half. I have added brokers Charles Stanley and Hargreaves Lansdown and also spreadbetting company IG Index. Finally, during the downturn for commodity shares in December, I topped up my holding in BHP Billiton. Others that have struggled to make much progress during the year are one-stop commodities play, BHP Billiton (again), small caps Nichols -22% and Plastic Capital down -10%, oil sevices group Amec Foster -17.5% and large cap pharma GlaxoSmithKline -10% which has been under a cloud for most of the year following the bribery scandal in China. Whilst the capital values of the individual share prices will always swing around - some have been very volatile this past few months - it is reassuring to see the predictable dividends rolling in month after month. Total income received on the shares - the main purpose of holding equities - over the period is 3.6%. Collectively, dividends have increased by an average of 13.0% over the year - the highest increases have come from Next 23%, Legal & General 22%, AMEC 15%, BSkyB 18.1%, and Unilever 15.4%. The shares with the lowest increases were Centrica 4.0%, Billiton 4.3%, Sainsbury 3.6%, Reckitt 2.2% and finally Tesco which cut its interim dividend by -75.0%. Unlike shares which have been volatile, the trusts have had a relatively steady if unexciting year - just the way I like it! Over the 12 month period, I have topped up my holdings in Murray International, City of London (x2 April and Sept) and Edinburgh. Also I added Invesco Income Growth to my ISA in June. The benchmark for my basket of investment trusts portfolio is Vanguard All World High Yield ETF (VHYL). Over the past year this has seen a total return of 7.8% including 3.7% income. I am impressed with both income and capital return in my first full year of holding the ETF. The total return for my basket of trusts over the year was just ahead of the shares portfolio at 3.6%. The better returns came from Asia focussed trusts - Aberdeen Asian Inc., Schroder Oriental and Henderson Far East with 7.9%, 12.6% and 8.5% respectively, Edinburgh up 11.6% and fixed income specialist New City High Yield 6.4% The only trust that has struggled for me this past year is Dunedin Smaller Companies (-17%) mainly due to a widening of the discount to NAV. Total return for the 12 months was 10% including income of 6.5%. Once again - I think 3 years running, the best performing sector of my portfolio. The best performance came from Skipton BS PIBS which provided a return of 18% and Lloyds Bank preference shares 17.4%. 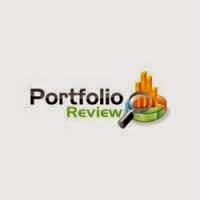 As a whole, the portfolio has advanced 5.4% over the past year including the payment of 4.5% income. Just comparing my actual investment income received for 2013, I am pleased to see an increase of 12.2% for 2014. Some of this will, of course be due to the income from the new ISA contribution since last April. Bearing in mind that 40% of the portfolio is represented by PIBS and fixed income securities which provide no increase in income year-on-year, I am more than happy with this. I am fairly happy with my efforts to curtail my trading this past year which was the main task I set for myself at this point last year. Once again, the collective investment trusts have provided the better return compared to individual shares with less volatility - only 0.2% but this will be the 5th year that I have just fallen short of out-performing the professionals. I will give a little more consideration to maybe increasing the balance between the two - possibly 70% or 75% collectives (currently 65%). I will also take a little more interest in the Vanguard ETF with a view to topping up - the only reservation is the lumpiness of distributions - I am never quite sure what I will receive until it arrives! As ever, I would be interested to hear how others have done over the past 12 months - leave a comment if you keep track of your portfolio. 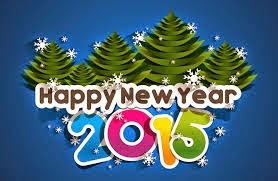 Finally, wishing all readers a happy, healthy and prosperous New Year! This FTSE 100 retail chain was only launched in February 1982 and the first store opened with an exclusive coordinated collection of stylish clothes, shoes and accessories for women. Collections for men, children and the home quickly followed. 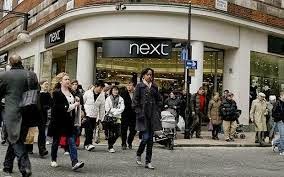 NEXT clothes are styled by its in-house design team to offer great style, quality and value for money with a contemporary fashion edge. Today NEXT trades from more than 500 stores in the UK and Eire and almost 200 stores in more than 30 countries overseas. Online shopping was introduced in 1999 and the entire book became available to shop from on the internet, page by page – another first in home shopping in the UK. NEXT Directory now has around 4m active customers and also serves customers in around 70 countries outside the UK. In October Next cut its profit forecast by 3% to £770m after a mild autumn reduced demand for winter clothing. However, in its latest trading update issued today for the period end October to 24th December (link via Investegate), the company says it has recovered some of the lost ground and profits are likely to be £5m higher at around £775m. This would be an increase of 11.5% on the previous full year. Year-to-date sales are up 7.7% with a strong contribution once again from online directory sales - up 12.9%. More good news for income seekers, in addition to the 3 special dividends paid out over the past year totalling £1.50 and the 50p interim dividend due next week, there will be yet another special dividend of 50p payable 2nd February. The update has been well received and at the time of posting, the share price is up just over 3% at £67.60. More on this following the full year results 19th March. This trust is not the highest yielder but is the top UK Income Trust in terms of net asset value and share price performance over five and ten years, its returns far outstripping those of the FTSE All-Share index. A sum of £1,000 invested 10 yrs ago would now be worth £3,388 compared to a total return of £2,202 from the benchmark FTSE All Share index. At around 2.1%, its yield is one of the lowest in the sector but its aim is capital and income, with a total return in excess of the FTSE All-Share. However, the trust's portfolio is constructed without reference to a stock market index. Long standing manager Nick Train’s approach is based on that of Warren Buffett’s and involves building a concentrated portfolio of “quality” companies that have strong brands and/or powerful market franchises. low capital intensity/high free cash flow generation – companies that do not have to make heavy balance sheet investment to generate earnings growth. He holds shares for the long term regardless of short-term volatility, aiming for them to double or more in value over time. This results in extremely low portfolio turnover, which saves on transaction costs. These costs over the past year amount to just 0.09% of net assets. The trust's total expense ratio remains reasonably low at around 0.8%. Top five portfolio holdings are: Unilever 9.0%, Diageo 8.3%, Pearson 7.4%, Reed Elsevier 7.2% and Heineken 6.8%. The trust has today announced results for the full year to 30th Sept 2014 (link via Investegate). Share price total return is 8.6% compared to 6.1% return for the FTSE All Share. Over the past year the dividend has increased by a respectable 7.6% to 11.3p (2013 10.5p). Revenues were 12.6p and therefore there is a small surplus after accounting for payments of dividends which will further bolster the dividend reserves. Commenting on the past year, manager Nick Train said his portfolio was focussed on quality rather than size "Biggest is not necessarily best, if it's investment returns you're after. We believe what really matters is the calibre and unique nature of the companies you're invested in. This is what makes money over time. And, to reiterate, we think we own a collection of special companies". You cannot argue with the returns he has provided for shareholders over many years. I took an opportunity to top up my holding in October and obviously very happy to continue holding for the long term. Berkeley is a fairly recent addition to my portfolio - here’s a link to the opening post. They have today issued results for the half year to end October 2014 (link via Investegate). Berkeley has built and sold 1,372 new homes in the past 6 months. This was around 900 less than the same period in 2013 however the average price was 85% higher - £649,000 compared to £350,000 in 2013. This has resulted in revenues up 24% at £1.022m. Pre tax profits are up by a stonking 79.9% at £304.9m (2013 £169.5m) and underlying earnings per share are up 28.9% at 128.9p (2013 100p). The board have declared an interim dividend of 90p payable in January 2015 (xd 19th December). The Group are on target to deliver a further 90p dividend in September. The longer term plan is to return a total of £8.66 in dividends over the following 6 years to 2021. During the period, the Group sold a portfolio of approximately 10,000 ground rents for £99.8m and a gross profit of £85m. Berkeley remains ungeared with net cash rising from £129.2m to £148.4m. Commenting on the interim results, Chairman Tony Pidgley CBE said: "I am pleased to report a further period of strong performance which underlines the benefit of having the right strategy to operate in a cyclical market…In terms of Berkeley's wider contribution to the economy, we have created over 1,000 new jobs in the last six months, now directly sustaining some 12,000 in London and the South of England, and we are providing structured training to over 700 young adults. We have built some 10% of all new housing and 10% of all affordable housing in London over the last five years. All of this demonstrates the significant contribution that a vibrant house-building industry can provide to the UK economy". Commenting on the results, Managing Director Rob Perrins said: "The first six months of this year have seen a return to normal trading conditions from a high point in 2013, which has continued to provide a stable operating environment for the business. The demand for new homes, against the backdrop of a shortfall of new housing under construction, continues to underpin the market. In this context, the Board expects full year earnings to be in line with current market expectations, ahead of previous guidance, and for the following two years to remain in line with previous guidance". There can be no doubt these are excellent figures. The results were well received by the market and the share price was up over 3% to close at £25.97. The yield is 6.9%. 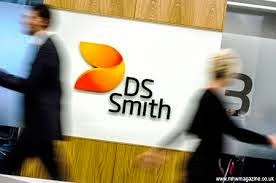 DS Smith rejoined my portfolio following the final results last June - here’s a link to a post. The company has today reported a strong set of interim results for the half year to end October (link via Investegate) with adjusted profits up 17% (constant currency) at £176m and earnings per share up 24% at 12.9p. Chief Executive Miles Roberts said: "We are pleased with performance in the first half of this financial year. We have continued to make good progress with our customers, benefitting from our differentiated commercial offering, and this has translated into strong financial performance, with a particularly good progression on margins and returns as well as excellent cash flow generation. We continue to actively manage our business portfolio and are excited by the opportunities for the Group. Our outlook remains positive as the business continues to grow, despite ongoing economic headwinds in many of our markets. The Board expects continued performance in line with the Group's medium term financial targets." Free cash flow is strong at £151m (£110m 2013). Net debt reduced to £694m (from £827m - April 2014). 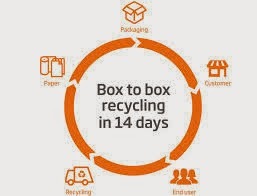 Since the period end, the company has announced the acquisition of Andopack, a Spanish corrugated packaging business. They have also announced today having entered into a letter of intent with a view to acquiring a corrugated packaging business in Turkey and Greece. The results were well received by the market and the share price was up over 5% closing at 304p. More on this following the final results next June. Sage is a global leader in the provision of business management software and services for small and medium sized businesses. Products include accounting and payroll, enterprise resource planning and customer relationship management. Sage has set itself the goal of growing organic revenue at 6% a year in the medium-term, with increasing profit margins and hence even faster growth in profits. The Company today announced final results for the year to 30th September 2014 (link via Investegate).Organic revenues increased 4.9% to £1.3bn, underlying earnings were up 8% at 22.69p and adjusted dividend is up 7.1% at 12.12p (rebased). The dividend for the year is covered 1.9x by underlying earnings per share. They are on track to deliver organic revenue growth of 6% in 2015 combined with 28% operating profit margins. Sage announced a strong acceleration in adoption of Sage One - their cloud solution for smaller businesses. It is now present in 10 markets and approx.150% increase in paying subscriptions to 86,000 (2013: 35,000), driven by strong run-rates in the UK & Ireland and South Africa. Commenting on the results, new CEO Stephen Kelly said: “Our financial performance demonstrates the strength of Sage's global business and the quality of relationships it has with millions of SME customers worldwide. Looking ahead, I believe that Sage, as a trusted partner to our customers, can be even more instrumental in supporting the success of SMEs around the world. I look forward to building on Sage's technology leadership, both in the cloud and on-premise, together with our outstanding customer support, to the benefit of our current and future SME customers." For investors, the best thing about Sage is that it generates a lot of cash, and it likes returning that money to shareholders. The Group remains highly cash generative with cash flows from operating activities of £382m. They propose to pay a final dividend of 8.0p in March 2015. 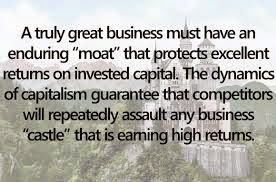 I particularly like businesses with high barriers to entry - Warren Buffett calls these ‘moats’. 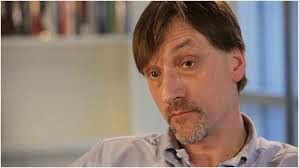 I believe Sage is such a company - once a customer has a computer system in place that carries out essential activities such as accounting and payroll, for instance, they are unlikely to go through the expensive and risky process of changing it. Analysts believe this dependency on Sage gives the business the ability to increase prices and boost profits/dividends further. Sage was added to my ISA portfolio around a year ago at 369p. Today's results have been well received with the share price up over 4% at 422p and yield of 2.9%.